Tasha Vinson Brown was working in sales when her desire to strengthen her knowledge of the Bible led her pastor to encourage her to consider enrolling at Northern Seminary. He noticed her ongoing commitment to deepen her Biblical knowledge and her desire to strengthen her service to God. Though she hadn’t yet discerned a call to vocational ministry, she entered the M.Div program at Northern in 1999 as one of the school’s first recipients of the Lilly Endowment-funded Presidential Scholarship. The scholarship provided an opportunity for her to explore and discern a call to ministry while attending classes full-time at Northern. Shortly before she graduated in 2002, she had a dream that she’d become a pastor. Those in her church community affirmed through prayer and discernment her call to vocational ministry. She was ordained and became an associate pastor at the church while continuing to work in her church’s not-for-profit organizations. Following her ordination she married, had two children, and continued her theological training at McCormick Theological Seminary, obtaining a D.Min. The Lord brought Dr. Vinson Brown back to Northern Seminary in 2012 as an adjunct professor of spiritual formation. Her marketplace, ministry and life experience, which included a 2010 fight with breast cancer, have prepared her for her newest role at the school as Assistant Dean and Director of the Strengthening the Quality of Preaching Lilly grant program. 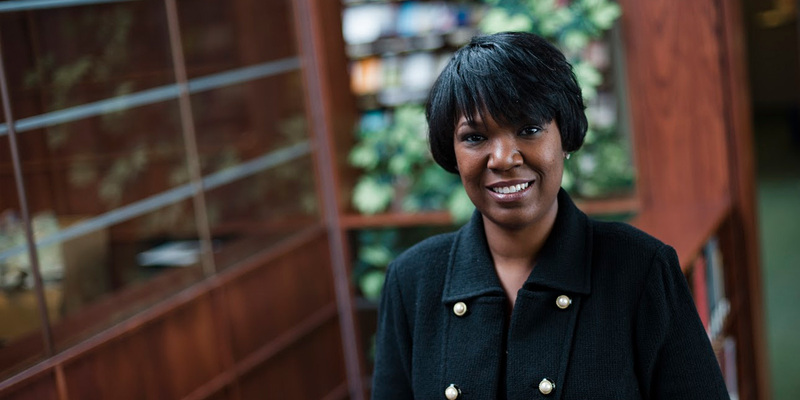 Dr. Vinson Brown is now helping others to do what first led her to the school fifteen years ago: deepening their knowledge of God’s Word while strengthening their service to him.